Genuine Dell Vostro 420 High Profile VGA, DVI, HDMI Pegatron VUI-G310DE Video Graphics Card, nVidia GeForce G310 512MB PCI-E, Compatible Part Numbers FTGGG, M114N, G31DE by NVIDIA at Andy Pemberton. MPN: VUI-G310DE. Hurry! Limited time offer. Offer valid only while supplies last. 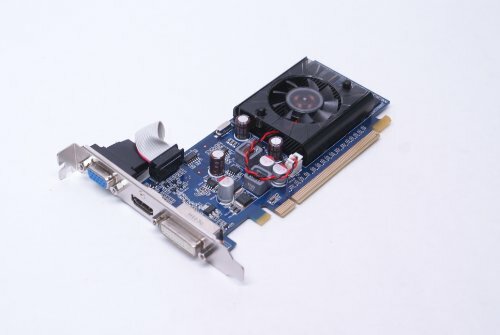 Nvidia GeForce G310 512MB 512MB DDR3 VGA DVI HDMI Graphic Card Pegatron VUI-G310DE FTGGG 0FTGGG CN-0FTGGG.